In the Christmas holiday season, we often wonder how best to share the festive season with our friends and family. Here are three ways you can share the joy of Christmas with others — and help the children of Home of Grace at the same time. 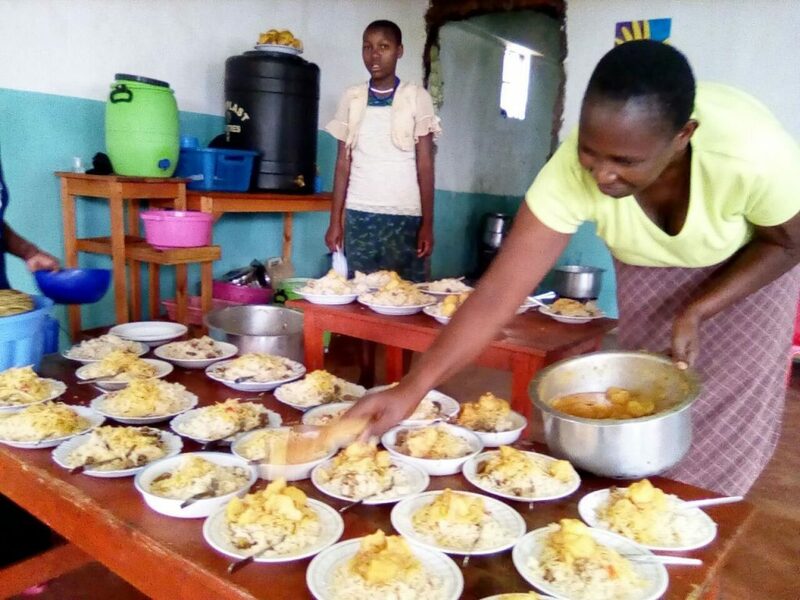 We are so excited by how the Lunch Feeding Program has been able to grow to feed 40 local school children every school day. It has had such a positive impact on the ones who make it into the program, not only academically but emotionally. This program is giving each child real hope for their future. Thank you for your generous support. But there are so many more children at the local schools who could benefit from this program. 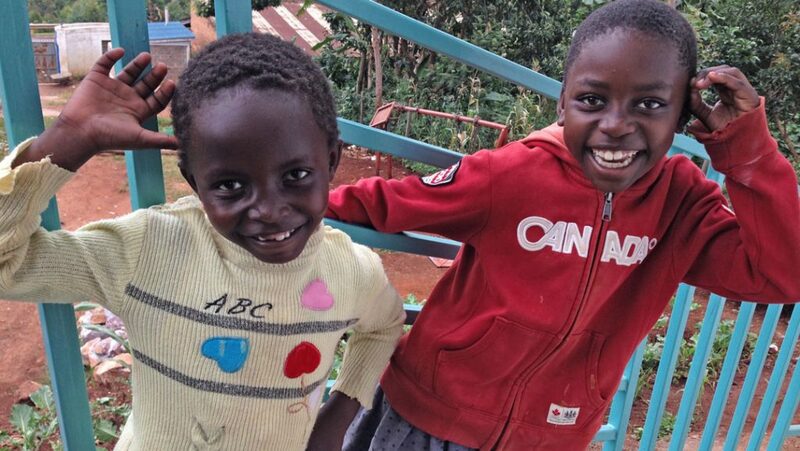 With your help, we could expand the program to feeding 60 children daily — or even up to 100!! What a huge benefit to the whole community an expanded Lunch Feeding Program would be. A gift of $35 will help make this dream a reality. For the children who call Home of Grace home, we want to create a better space where they can safely play — specifically a large, level playground for the children. The land slopes steeply, so this means soil erosion during heavy rains — and constantly chasing the soccer ball down the hill! We need to invest in grading and terracing the land for a play area, with proper retaining walls, drainage and fencing, not to mention adding playground equipment. It’s all very exciting, and with your help, we could make this dream a reality! $60 will give the gift of play. 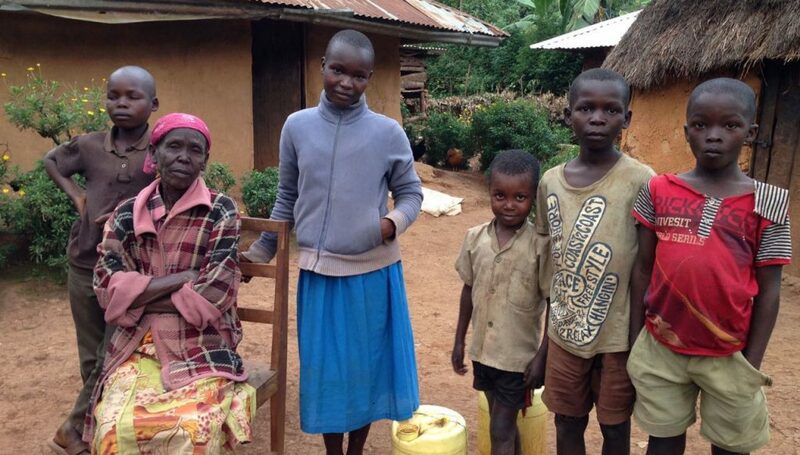 Extreme poverty affects many families in the community around Home of Grace. Kenya continues to face high unemployment, underemployment and the lingering effects of the HIV/AIDS epidemic. The result is that there are many people in the community who have little or nothing to live on. There is no social safety net, no public health system. That means many families are in desperate straits. Staff at Home of Grace give emergency funding to community families in extreme need. This helps pay for the most basic groceries or to buy fuel for cooking, to tide them over. In some cases that may also involve help paying school fees for their children. Your gift of $100 can help families in extreme need this Christmas. What will your holiday celebrations look like? Will it include gifts, toys and festive meals? Why not consider sharing what you have with the Home of Grace children? This year, give a gift of hope to a child who desperately needs it. Donate to Home of Grace in the name of a friend or family member — or maybe as a teacher gift. Home of Grace Care Centre is proud to be a project of Speroway. Your donations to Home of Grace Care Centre through Speroway are eligible for a Canadian charitable tax receipt.